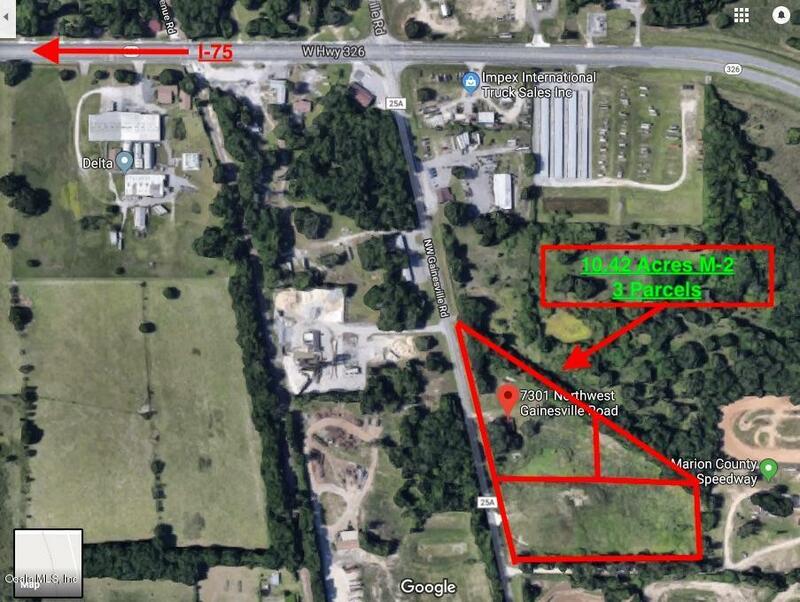 Incredible opportunity to own 10+ acres Zoned M-2 site perfect for warehouse space and/or trucking hub. Property has recent site survey, environmental assessment and inspection of small office bldg. Property consists of 3 parcels, owner willing to subdivided. Property has been labeled Commerce District with current and future zoning remaining M-2. Unbelievable location with 800+ft of road frontage and easy access to I-75 and Hwy 326 trucking corridor. Minutes from fuel stations, and diesel repair shops. Listing provided courtesy of Thomas J Oldenborg of Remax/Premier Realty - Lady Lake.